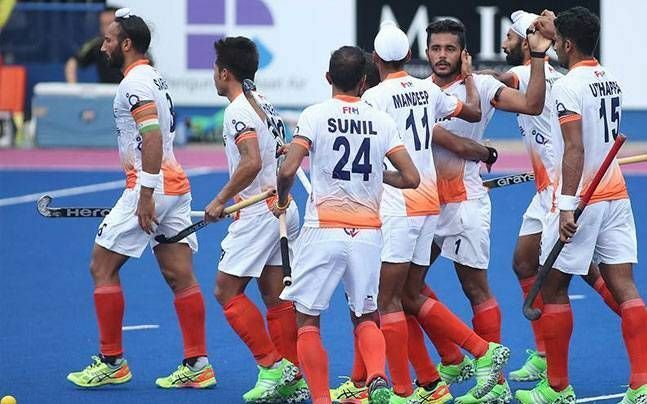 The Indian Hockey team is set to begin its journey in the 2018 Hockey World Cup as they take on South Africa in Pool C, in what would be the second match of the opening day of the competition. Hockey India might have 8 Olympic Gold medals to their name but they have won the World Cup just once in their history. The only triumph came at the 1975 edition when they defeated arch-rivals Pakistan 2-1 in the final. Against 15th-ranked South Africa, the Indian team would look to make their superior ranking (5th) count and kickstart the tournament with a win. India are placed in the Pool C of the tournament. The winner of the Pool will go directly into the quarter-finals, while the second and third-placed teams would head into the crossover round, where there will be inter-pool matches. While the second-placed team in Pool A will face the third-placed team in Pool B, the second-placed team in Pool B will lock horns with third-placed team in Pool A. In the end, we'll have 4 winners from the Crossover stage of the tournament who will head into the quarter-finals.